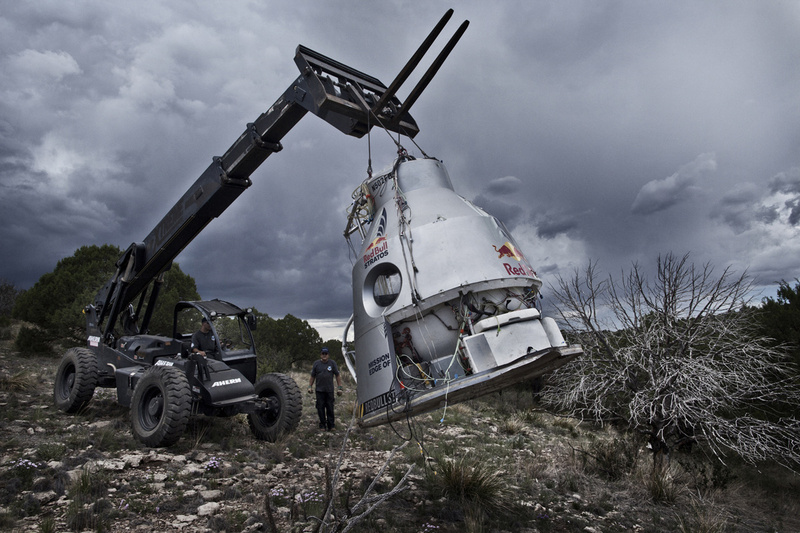 Red Bull Stratos Crew recover their damaged capsule on July 25 (Credits: Red Bull Stratos). Felix Baumgartner, supported by the Red Bull Stratos team, has been gearing up for an attempt at a record breaking 36,576 m skydive for months. The jump was scheduled to take place in August, but following a July test jump, the capsule which carries Baumgartner to his jump off point has been damaged. Needed repairs to the capsule have resulted in a rescheduling of the jump for sometime in the beginning of October. 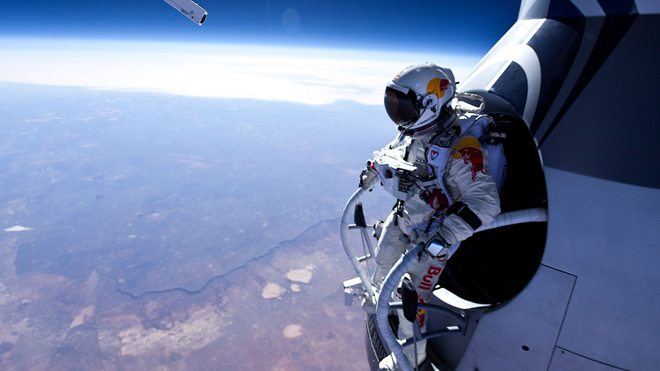 Baumgartner prepares to jump from the capsule on his last test flight (Credits: Red Bull Stratos). The capsule, which sustained damage to vital structural components, was transported to Sage Cheshire Aerospace for testing and repairs. Although none of the life support systems were damaged, several are being replaced as a precaution. A reserve capsule is being harvested for some of those replacement parts. The capsule is all that’s holding up the big jump. No further test jumps have been schedule at this time. The space community is keeping a close watch on the Baumgartner jump since some of the team’s technological advances, such as its newly designed pressure suit, may be useful for space applications. If successful, Baumgartner will break a 52 year standing record for highest freefall, held by Joe Kittinger. TagscapsuleFelix BaumgartnerJoe KittingerjumplandedmilitaryparachuteRed Bull StratosSage Cheshire Aerospacesky diveskydivetestingU.S.